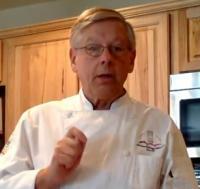 Chef Harry Haff (BA, MM) is a professional chef with over 20 years experience as a chef and wine instructor. He has a strong passion for the culinary arts, including most forms of cooking, baking, wine and beverages and he enjoys sharing his knowledge and expertise with students. • WSET Intermediate Course Certificate with Distinction, Spring 2005. • WSET Advanced Course Certificate Fall 2005, Passed with Merit. • CIA/Greystone, Napa Valley, “Great Wine Regions of Europe,” September 2008.
metro Atlanta, cf. Forsyth Living, which recently ceased publication. web site dedicated to the recognition of terroir in American wines. contributions on wine, spirits and wine education. Together”, a presentation describing how taste components in food and wine affect each other. from around the US and Canada. and 2; Baking and Pastry 1 and 2 International Cuisine, Culinary Math, Computer Class. FALL 2003: Free-lance food service management consultant. on new account openings. Health care, Senior livng. separate conference center. Opened new restaurant, developed catering menus. September 1999-January 2000: Seasonal pastry chef, private club in Florida. recipe development, wine and beverage lists, training for dining room and kitchen, hiring, catering. Chateaux Hotel Association. All items made from scratch in Michelin rated hotel restaurant.